When security and visibility are primary considerations, choose our attractive rolling DuraGrille security grille. The grille pattern, available in straight or brick, offers an unobstructed view of displays and merchandise. DuraGrille security grilles offer protection against theft and vandalism, all with a contemporary look. DuraGrille security grills are ideal for store fronts and interior applications, such as concessions, cafeterias and retail shops. Grille: Offered in a contemporary brick pattern or traditional straight pattern (left), grilles are constructed of 5/16″ mill-finished aluminum ods with 9″ center-to-center interlocking links. Counterbalance System: A torsion-spring-operated system, enclosed in a structural steel barrel, effectively counterbalances the security grille for a minimum of 15,000 cycles. Higher cycle torsion springs are also available. Aluminum Guides: Extruded aluminum guides are lined with a replaceable wool pile strip to reduce wear and provide quiet operation. Bottom Bar: An extruded aluminum bottom bar reinforces the curtain and provides smooth operation. Locks: Manually-operated grilles are provided with slide-bolt locks. Other locking options are available. 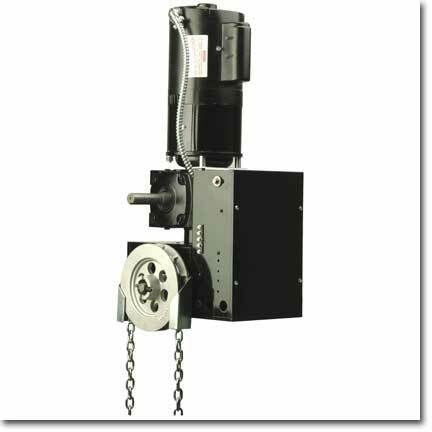 Counterbalance Hardware Includes all required components. Use this tool to quickly find the Clearances & Dimensions for a Raynor Rolling Grille Door, based mounting and size options. Raynor warrants the door and its component parts for one (1) year against defects in material and workmanship. Raynor warrants all hardware and spring components against defects in material and workmanship for one (1) year. Under the terms of this limited warranty, for any door components that are found to be defective upon inspection by authorized Raynor personnel, Raynor will, at its option, repair or replace the defective door components. Labor charges for installations or repairs shall be the responsibility of the consumer and must be performed by an authorized Raynor Dealer. This warranty applies only to doors that are professionally installed by an authorized Raynor Dealer. This warranty extends only to the original purchaser. This warranty is not transferable. This warranty does not apply to any damage or deterioration caused by abuse, applied paint failure or failure to provide reasonable and necessary maintenance. Raynor shall not be liable for any consequential or incidental damages. ALL OTHER WARRANTIES, EXPRESS OR IMPLIED, INCLUDING ANY WARRANTY OF MERCHANTABILITY, ARE HEREBY EXPRESSLY EXCLUDED. Some states do not allow the exclusion or limitation of consequential or incidental damages, so the above limitation or exclusion may not apply to you. Claims for defects in material and workmanship covered by this warranty shall be made in writing with proof of purchase to the dealer from whom the product was purchased or call Raynor at 1-800-4-RAYNOR within the warranty period. Raynor may choose to have the product returned for inspection. This warranty gives you specific legal rights. You may also have other rights, which may vary from state to state.